I absolutely love living in New York. But there's one thing my apartment is missing -- a fireplace. 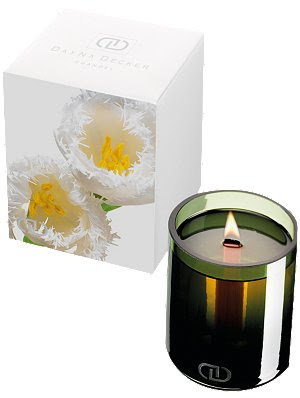 Luckily, the organic ecowood wick of the Dayna Decker Leila Candle elicits a delightful crackling that sounds just like a roaring fire! That would be enough to keep me happy and occupied for hours ... but even better, the scent is divine. Part of the Botanika collection, Leila is infused with notes of grapefruit, bergamot, dewberry, lemon flower and amber musk. It smells beautiful but not overpowering -- it just emits a nice, fresh aroma while burning. The Dayna Decker Leila Candle retails for $32-$76, depending on size, at spacenk.com.